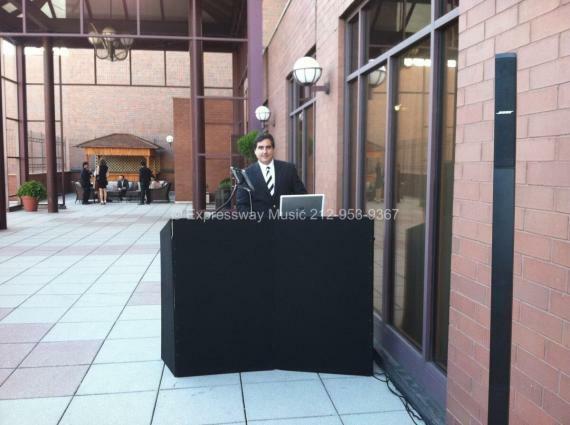 Expressway Music DJ Dave Swirsky dj’d a beautiful Chinese American-Russian American wedding last night at the Sheraton LaGuardia. The weather was perfect as DJ Dave first dj’d the pre-ceremony outside and then dj’d the cocktail hour and reception inside. It was a 12 course feast with lots of dancing in between courses!! Wen Wen Lin was the videographer for the Wedding. She is delightful to work with. Steve also did an outstanding job as the Maitre de for the Sheraton. 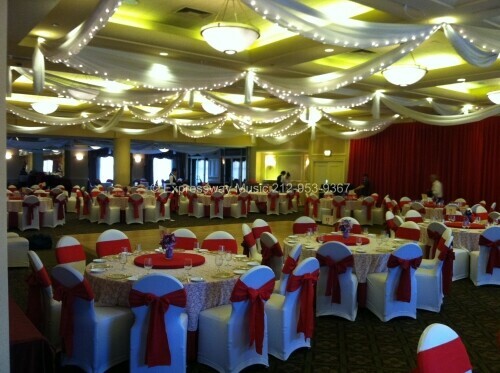 Thank you to the Bride & Groom who produced an Exquisite Wedding! here is a lovely letter from the bride & groom…..we really appreciate it! Andrew and I wanted to thank you again for your great work on our wedding day! You were a pleasure to work with from beginning to end. It was so great to hear some of our favorite music being played, and we also think the rest of your music selection was wonderful. Andrew said that every time his father heard a song he liked, he would say, “Oh, he’s playing my music!” Some of our friends also told us they really enjoyed the music and had a great time dancing. Finally, thanks for playing “Gangnam Style” twice–everyone totally loved dancing to it! If we know anyone who is looking for DJ recommendations, I will definitely recommend that they check out Expressway Music, and personally recommend you. I also plan on sharing an online review of your great work shortly, and was wondering if you have any preference as to which website I should submit the review to? Finally, I saw your blog post about our wedding, and thanks for your kind words. Please also thank Taylor again on our behalf as well. Take care!